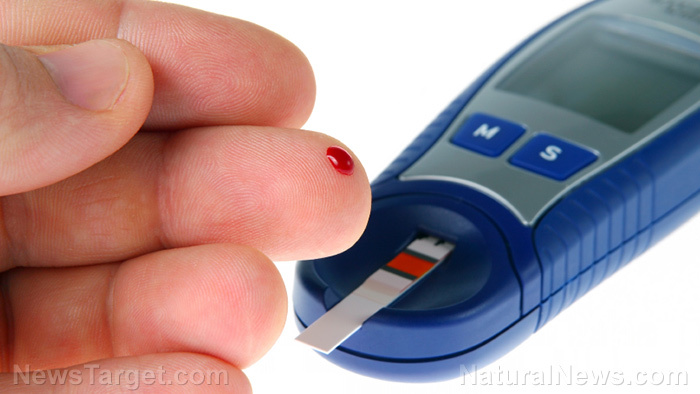 (Natural News) The Centers for Disease Control and Prevention (CDC) reports that more than 30.3 million Americans are diagnosed with diabetes. Although lifestyle changes like a healthier diet and increased physical activity can have significant improvements in the condition of diabetic patients, there’s no harm in getting extra help. This is where plants with antidiabetic properties come in. A recent study conducted by South African researchers revealed that the bushy bulbine (Bulbine abyssinica) is rich in polyphenols that contribute to its antidiabetic as well as antioxidant activities. Plants contain various phytochemicals that are responsible for protecting them against pests and diseases. However, these compounds are not just suitable for plants; they are also beneficial to humans. A group of phytochemicals called phenolic compounds are commonly used for cooking and making perfumes because of their pleasant odor. Moreover, they are also famous for their potent antioxidant property. This attribute is important for treating diseases associated with oxidative stress, which include cancer, diabetes, atherosclerosis, inflammation, Alzheimer’s, aging, kidney damage, and liver diseases. Because of this, plants with large amounts of phenolic compounds are sought after in the medical field. Some of the most common examples of these phytochemicals are flavonoids, flavonols, tannins, lignins, stilbenes, gallic acid, caffeic acid, coumaric acid, and ferulic acid. The Asteraceae family of plants is famous for being rich in polyphenolic compounds and diterpenoids that contribute to different biological activities. One of the members of this family is the bushy bulbine, a succulent native to South Africa. This plant is commonly used in traditional medicine as a remedy for rheumatism, dysentery, bilharzia, back pain, infertility, infections, and diabetes. With these folkloric uses, it wasn’t shocking when previous studies revealed that bushy bulbine has antioxidant, anti-inflammatory, antibacterial, and antidiabetic properties. But there’s still a long way to go before the benefits of this plant are fully understood, especially since there is limited information on the specific compounds responsible for these properties. In this study, which was published in the journal Pharmacognosy Research, the researchers collected eight different fractions from bushy bulbine leaves, which they called BAL-1 to BAL-8. Once they got these fractions, they then proceeded to determine the flavonoid, proanthocyanidin, and total phenolic content. The researchers also identified their antioxidant activity. Putting the results of these two experiments into consideration, they shortlisted four compounds, namely BAL-6, BAL-5, BAL-4, and BAL-1 for the determination of antidiabetic activity. To determine antidiabetic activity, the authors conducted in vitro studies where they observed for the inhibition of alpha-glucosidase and alpha-amylase activity. These enzymes are responsible for breaking down carbohydrates and other polysaccharides into glucose. So their inhibition reduces the risk of having too much sugar in the bloodstream, which is characteristic of diabetic patients. Results showed that BAL-6 had the most potent antidiabetic activity, followed by BAL-4 and BAL-5, and then BAL-1. Further studies revealed that the compounds that are possibly responsible for this are carvone, quercetin, and psoralen. Visit DiabetesCure.news for more articles about natural diabetes remedies.